Casa Mexicana, a Mexican cuisine restaurant in Madisonville, Kentucky, was linked to an outbreak of Salmonella Typhimurium in Webster, Hopkins and Muhlenberg counties in early October of 2013. The link was made public by Hopkins County investigators who used pulsed field gel electrophoresis (PFGE) to identify Salmonella Typhimurium JPXX01.0146 (the genetic code of this particular outbreak) from the food served at Casa Mexicana. According to the public health director Denise Beach of Madisonville County, 15 victims had been identified, including one fatality, by October 3, 2013. Thereafter, the list of victims grew to 16 confirmed cases, including 14 direct contact infections, one secondary infection, and one tertiary infection. Each of the direct contact cases had eaten at Casa Mexciana, located at 3295 North Main Street in Madisonville, KY.
storing cooked rice at only 106 degrees. The violations were so pervasive and extreme as to warrant the health department’s revocation of Casa Mexicana’s license to operate, and the restaurant was ordered closed. Health investigators also conducted an extensive environmental investigation, collecting samples of raw chicken, raw cut steak (fajitas), cooked rice, sliced white onions, cut green peppers, cooked ground beef, cooked shredded chicken, salsa, marinated chicken breast, and raw shrimp. Each of these samples were then tested for the presence of bacteria. Both the raw chicken and the raw cut steak tested positive for the outbreak strain of Salmonella Typhimurium JPXX01.0146. 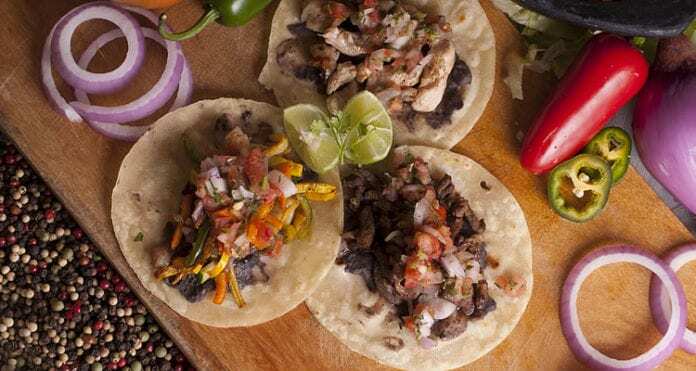 Casa Mexicana was thereafter ordered to make numerous changes to their food safety procedures, and to have the staff participate in training prior to being allowed to commence operations. Casa Mexicana has since reopened. Unfortunately, this Salmonella Typhimurium outbreak turned deadly when Steve Davis, only 61 years of age, passed away after contracting salmonella from eating at Casa Mexicana. His aunt, who is one of the victims represented by Ron Simon, gave an interview shortly after Steve’s untimely death, telling a local reporter: “We’re going to miss Steve. He always ended with, ‘If I can do anything for ya, call me,’ and ‘I love you, Aunt Joyce.’ That’s hard.” Joyce also contracted salmonella, was tested, and the Kentucky Health Department confirmed she was part of the outbreak. See the full interview here. “Tragically,” says her attorney Ron Simon, “she didn’t even eat at Casa Mexicana, but became sick while caring for Steve. Her secondary case of salmonella, confirmed by the Kentucky Health Department, shows just how dangerous unsanitary food preparation and practices can be. Pathogens like salmonella are easily passed to loved ones, which is just what happened here.” Ron Simon also represents another member of Steve’s family, John Elief, who also tested positive for the outbreak strain of salmonella.